Photograph of the Mount Washington Auto Road, New Hampshire, USA. Mount Washington is the highest peak in the northeastern USA at 6,288 feet above sea level. 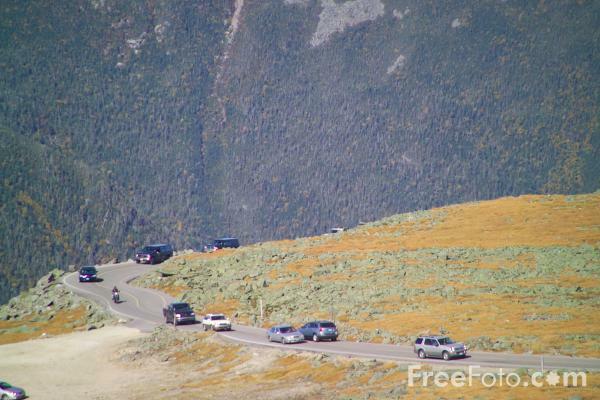 The Mount Washington Auto Road was the first man-made attraction in America. The 8 mile road winds its way up the northeast side of the mountain and ascends almost a mile in elevation to the summit. VIEW: More images from the category Mount Washington, New Hampshire, USA or around the same time .